The entrance to the city's emergency drain line and penstock at the Thomas Reservoir. The emergency drain line/penstock was put in place to both drain the reservoir and to carry water down the hill to a proposed new hydropower plant. The city's efforts to classify the pipe as a conduit, in order to gain an exemption from a federal licensing process, has drawn criticism from American Rivers and others. The approach used by the city of Aspen to gain federal approval for a proposed hydropower plant was cited as a bad example by a critic of the project in testimony last week before a House subcommittee on energy and power in Washington, D.C. The Colorado conservation director for American Rivers, Matt Rice, on May 8 called into question the city of Aspen’s initial approach toward gaining approval for its proposed Castle Creek hydro plant. He testified in person and submitted written testimony to a subcommittee of the House Energy and Commerce Committee in support of the Hydropower Regulatory Efficiency Act of 2012 (H.R. 3680). The bill seeks to reduce the regulatory hurdles for certain types of hydropower projects, including “conduit” projects. Conduit projects involve installing small hydropower generators in existing pipelines, canals and tunnels that were not designed or built to generate power. The proposed legislation, introduced earlier this month by Rep. Cathy McMorris Rodgers (R-Wash.) and Rep. Diana DeGette (D-Colo.), would exempt conduit projects from review by the Federal Energy Regulatory Commission (FERC), but includes a 45-day public review to vet any issues that could become controversial or are called into question, prompting a more thorough review. 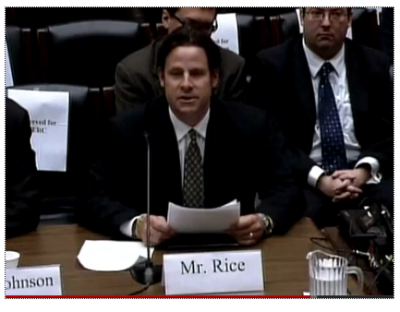 Rice said the review period would be a “safeguard” that’s “critical to catch projects being proposed by developers that are intent on bending the rules,” Rice said via email after his testimony. “The city of Aspen, Colorado is proposing to rebuild a 1.1 megawatt conventional hydropower project that operated from 1890 to 1958,” Rice wrote. “The proposal includes a significant increase in diversion from two streams beyond their municipal water supply demands to feed the facility. The proposed project is extremely controversial within the community and Aspen is currently in litigation with upstream water right holders. “In an effort to expedite the permitting and avoid environmental review of the project, Aspen chose to pursue a small conduit exemption for the project,” Rice wrote in his testimony, which is posted on the house committee’s website. “But Aspen had a problem: It did not have a conduit. So the city built what was in reality a hydropower penstock and misleadingly labeled it as a conduit in order to receive favorable regulatory treatment. “While Aspen eventually backed off of its pursuit of a conduit exemption because of public pressure, it continues to maintain that the project should qualify for FERC’s conduit exemption. “If H.R. 3680 were to become law without this critical provision for a notification period, neither the local community nor affected water rights holders would have had an opportunity to challenge Aspen’s incorrect characterization of the project, and Aspen may well have been able to construct the project without any meaningful public review,” Rice wrote. City officials have contended that the pipeline built two years ago was necessary — first and foremost because it serves as an emergency drainline for Thomas Reservoir, where municipal water is stored at the top of Doolittle Drive and above residential neighborhoods. The pipeline also would serve as a penstock to carry water from the reservoir to the proposed site of the hydropower turbine to be located underneath the Castle Creek Bridge. After being criticized by a group of residents, and American Rivers, for pursuing its conduit exemption and subsequently a less-stringent environmental review, Aspen chose to seek regulatory approval from FERC by submitting an application. It then asked FERC to review its application under its “Traditional Licensing Process” and not its “Integrated Licensing Process,” which is a more comprehensive review. American Rivers urged FERC not to choose the “traditional” process to review Aspen’s application, but the federal agency did so nonetheless. A FERC official also submitted testimony to the House subcommittee and offered some insight into the differences between the “traditional” and the “integrated” processes. “The integrated licensing process (ILP) front-loads issue identification and environmental study to the period before an application is filed, and is thus well-suited to complex cases with substantial issues,” wrote Jeff Wright, the director of FERC’s Office of Energy Project, in testimony in support of the proposed legislation. “The traditional licensing process (TLP), in which environmental and other work can occur after the application is filed appears to work best for less controversial matters. The TLP may be the process that is best-suited for many simple cases involving exemptions or small, low impact licenses,” Wright’s testimony states. The proposed Hydropower Regulatory Efficiency Act of 2012 encourages FERC to streamline its regulatory review of small hydropower projects; Wright also told the subcommittee that the approach taken by project opponents can either make FERC’s job harder or easier. Wright also said that community relations matter when seeking federal approvals. So far in its development process, the city of Aspen has generated mistrust among some in the community by its approach to FERC licensing. “Another, and related factor is the extent to which project developers reach out to affected stakeholders,” Wright told the House subcommittee. “If a developer contacts concerned citizens, local, state, and federal agencies, Indian tribes, and environmental organizations, and works with them to develop consensus as to what information is needed to understand the impacts of a project and what environmental measures may be appropriate, and to develop support for the project, the application and review process is likely to be simpler and quicker. “Where a project comes as a surprise to affected entities or where a developer does not respond to expressed concerns, the commission’s job becomes more difficult,” the FERC official stated. Editor’s note: This story was also published in the Aspen Daily News on Monday, May 14, 2012. “Matt Rice criticized Aspen and its hydroelectric project as part of his testimony before a Congressional subcommittee considering a hydroelectric bill. He is a vocal opponent of Aspen’s project, and works for an organization – American Rivers – that will never support hydro projects that divert additional water from streams. “Aspen takes great offense at his statements to Congressional and federal representatives that the City constructed a conduit solely to seek a FERC conduit exemption for its Castle Creek hydroelectric project, in order to avoid environmental review and meaningful public input. This is untrue. The conduit is an emergency drainline Aspen needs to protect property and was built under the advice of our engineer. It is needed whether or not the hydroelectric project goes forward. 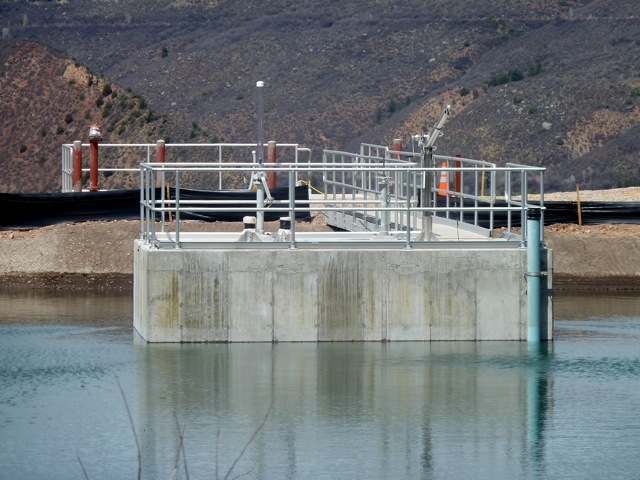 “Furthermore, Aspen has engaged the public since the beginning of the Castle Creek hydroelectric project. 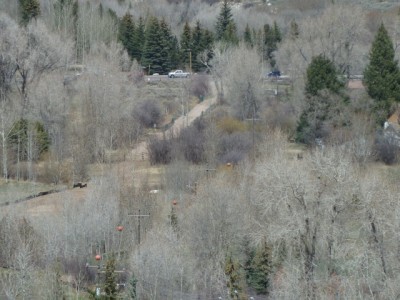 Aspen has not only held public meetings and posted all relevant data about the Castle Creek Energy Center on its website, but has been through mediation with interested parties and entered into an unprecedented agreement with the Colorado Division of Parks and Wildlife to protect the stream habitat. To our knowledge, until Aspen’s commitments, no hydroelectric project had ever agreed to severely limit energy production in order to protect stream habitat as part of the start-up process of a project. “The city’s claim is not supported by facts. American Rivers has signed agreements supporting the operation of more than 8,000 MW of hydropower at dozens of hydropower projects across the country, and we’ve indirectly supported the operation of almost 200 hydropower projects generating more than 11,200 MW of power across the country. “We’ve supported legislation that provided production tax incentives to hydropower projects built on existing water infrastructure. Last week, we testified in support of legislation that would encourage the development of conduit hydropower projects, some of which may include additional diversions. “Plain and simple, Aspen tried to cheat and take shortcuts. American Rivers even offered to work with the city to help them design the project in a way that would allow it to move forward while protecting both Castle and Maroon Creek. The city flatly refused to work with us, and instead responded by publicly impugning our motives and attacking the credibility of our organization and our staff. “American Rivers will fight hydropower projects that divert more water than the river can safely provide. If a project can divert water responsibly, we would consider supporting it. And we will absolutely, unquestionably oppose projects that try to break, bend, or subvert the rules in order to avoid environmental review, which is precisely what Aspen did when it tried to cloak this project as a conduit exemption. For more on the city’s position on whether the pipeline is a penstock, a drain line, or both, see Thomas Reservoir Drainline FAQ, a document produced by the city in the last several years, apparently by Rapkin’s predecessor, Sally Spaulding.